A popular memory of the Camden area is the Camden tram, affectionately called Pansy, which used to travel along a narrow gauge line beside the road from Campbelltown to Camden. The line began in 1882 and carried its last train just over 50 years ago on 1st January 1963. 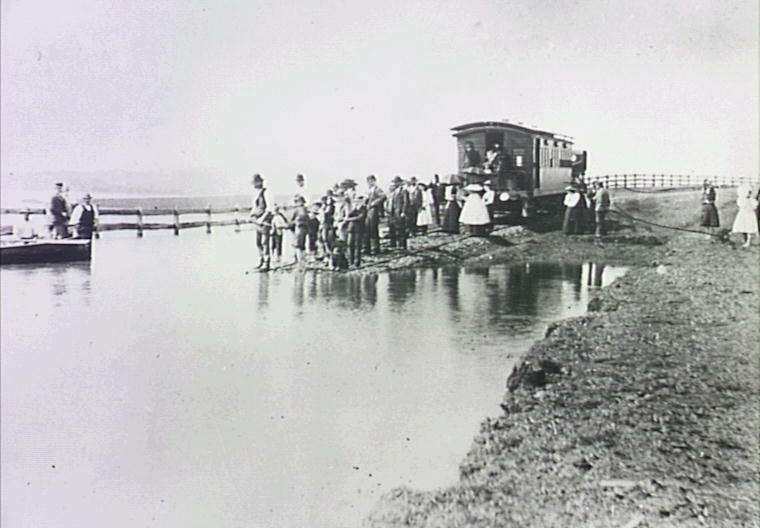 There were seven stations along the thirteen kilometre track between Campbelltown and Camden. First was Maryfields where huge crowds travelled each Easter for Stations of the Cross commemorations. Next was Kenny Hill near the water supply channel where sometimes passengers had to get off and walk to lighten the load and enable the train the reach the top of the hill. Then came Curran’s Hill near the present day Australian Botanical Garden at Mt Annan. 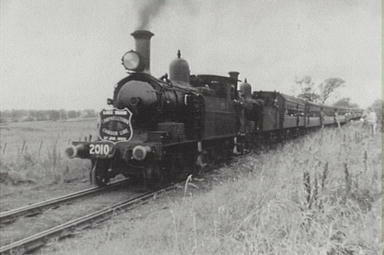 Narellan Station was next on the corner of the Northern Rd to Penrith where coal was loaded. Not far on was Graham Hill for an easy lift for those spending time at the Narellan Hotel. 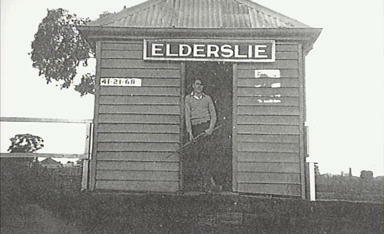 Kirkam was at the bottom of the hill where milk cans were loaded each morning bound for Sydney then the little Elderslie Station with just a small weather hut on the north side of the Nepean River. Camden had goods yards and a siding into the Camden Vale Milk factory at the entrance to the town. Locals would listen for the whistle to know the morning papers had arrived from Sydney and engine drivers were known to hold the train for pretty girls running late for their train to work. Floods sometimes left passengers standed near the playing fields at Elderslie where they had to be rescued by boat. Poems and a song about the tramline were written and can be found in the Camden Library collection as well as books, DVDs and memorabilia from the line.